Unlike the top-scoring Nikon D850 and Sony a7R III—both of which scored 100 and sit at the top of DxO’s full-frame sensor rankings—the M10 pulls in a meeker score of 86. However, that still makes it the second highest scoring Leica ever, just behind the Leica SL with an overall score of 88. Overall, better image quality can be found elsewhere for less money, but the Leica offers first-class engineering, and a digital camera with similar proportions to analog M cameras will be hugely appealing to Leica enthusiasts. Add to that compatibility with almost all Leica lenses ever made, as well as its simplicity of operation, and the M10 will be an attractive proposition to those who appreciate the quality of the Leica system. No doubt a good chunk of our readers will bold-face and underline what DxO said above: “better image quality can be found elsewhere for less money.” But does the massive lens library, top-notch engineering, ‘simplicity of operation,’ and that pretty red dot help balance out the cost at all? 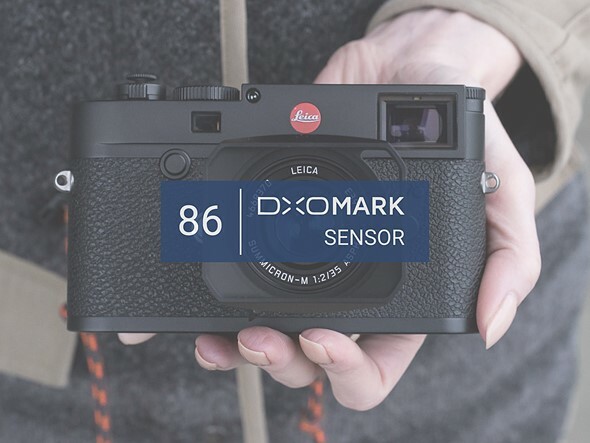 Head over to DxOMark to read the full review, and let us know what you think about these results in the comments.